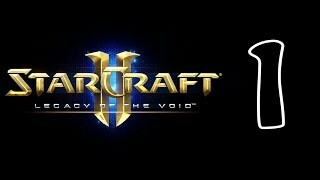 Game StarCraft 2 Legacy of the Void: strategy of release. 2015 year productive for multiplayer gaming products. Joined them and the game StarCraft 2 Legacy of the Void from the developer Blizzard Entertainment, released on November 10, and becoming the last series of the trilogy. V StarCraft 2 Legacy of the Void can be downloaded and installed by the client to start a strategic campaign By leading an alien army of protossons, you will resist the deadly zerg and terran. The first five missions will be held in single-player campaigns, allowing you to finally get used to the plot. Fight surrounded by friends, get involved in a global battle on the network by selecting one of the cards. In the storyline, actions unfold around the planet Ayur and the hierarch Artanis, whom you represent. Zerg attacked his planet insidiously. This happened many years ago, and the protoss residents of Aiur ceased to be a single nation. In order to reunite them and destroy the enemy, Artanis founds the Golden Armada flotilla. He must also help Kerrigan Sarah eliminate the Fallen Amun Zel-Naga, in whose intentions to organize an impressive end of the world. For the perfection of the army and the ship, Artanis periodically returns to the flagship "Spear of Adun". He also communicates with the characters, receiving advice from them, and from the units he learns about new combat opportunities. The goal of the unfolding campaign was to unite the scattered tribes into a strong army, able to revive the greatness of the Protoss and destroy Amun. But first, the players are offered three missions "Premonition of Darkness" with the leading hero Zeratul and the plot that tells about the found refuge of Tal Darim, the revival of Amun and the secret of prophecy, which he revealed. S heroes one on one. 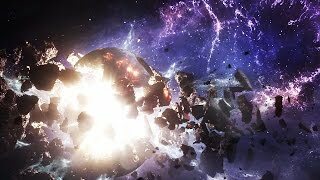 Pore download StarCraft 2 Legacy of the Void, and join the players, exploring the expanses of the universe. During the network game you will have the opportunity to pass daily tournaments in automatic mode. This requires a claim that you want to fight the strongest in the world of StarCraft in the arena, and then show your opponent your strength. Not everyone dreams of being a lone space wolf. Together you can do such things! In the Archon mode, under your general leadership comes a base that must be protected, and two adversaries. Share experiences and help your partner in word and deed to successfully complete the task. By selecting the joint task execution mode, you will become a team commander from a pair of players. There will be many enemies, but the experience of Sarah Kerrigan, Jim Raynor and the hierarch Artanis will help you. The higher the level of experience in your account, the more abilities and types of troops will be available. Not miss the opportunity to buy StarCraft 2 Legacy of the Void in full edition, and get wonderful gifts: “Wings of Freedom”, “Heart of Roy”, “Heritage of the Void”. In them you will find additional portraits, emblems, new pets, characters, abilities and weapons. It now remains only to defeat the enemy to the glory of the Protoss people.